Custom cabinetry was replaced with a solid color grey veneer to accent and blend with the unique floor design. Granite counter tops were selected with a complementary grain design to match the overall color of the kitchen and eating area. Tile was extended throughout. Notice the similar handles of the appliance and lower and upper cupboard doors. Using the microwave/convection oven in the island provided more versatility with cooking areas. Custom cabinetry was replaced with a solid color grey veneer to accent and blend with the unique floor design. Granite counter tops were selected with a complementary grain design to match the overall color of the kitchen and eating area. Tile was extended throughout. Notice the similar handles of the appliance and lower and upper cupboard doors. Using the microwave/convection oven in the island provided more versatility with cooking areas. Custom cabinetry was replaced with a solid color grey veneer to accent and blend with the unique floor design. Granite counter tops were selected with a complementary grain design to match the overall color of the kitchen and eating area. Tile was extended throughout. Notice the similar handles of the appliance and lower and upper cupboard doors. Using the microwave/convection oven in the island provided more versatility with cooking areas. [WD_GALLERY id=838] Custom cabinetry was replaced with a solid color grey veneer to accent and blend with the unique floor design. 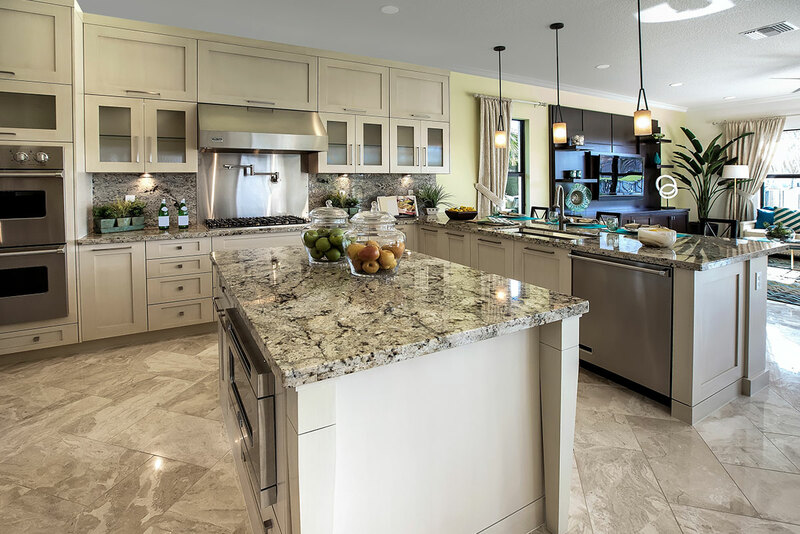 Granite counter tops were selected with a complementary grain design to match the overall color of the kitchen and eating area. Tile was extended throughout. Notice the similar handles of the appliance and lower and upper cupboard doors. Using the microwave/convection oven in the island provided more versatility with cooking areas. Custom cabinetry was replaced with a solid color grey veneer to accent and blend with the unique floor design. Granite counter tops were selected with a complementary grain design to match the overall color of the kitchen and eating area. Tile was extended throughout. Notice the similar handles of the appliance and lower and upper cupboard doors. Using the microwave/convection oven in the island provided more versatility with cooking areas.